Welcome to a truly spectacular Quirimbas Archipelago Islands holiday package. Love the unique daily sandbank excursions on this best selling Mozambique holiday package for 2019. This 7-night package starts with three nights at Ibo Island Lodge and ends at Anantara Medjumbe Island Resort and Spa. 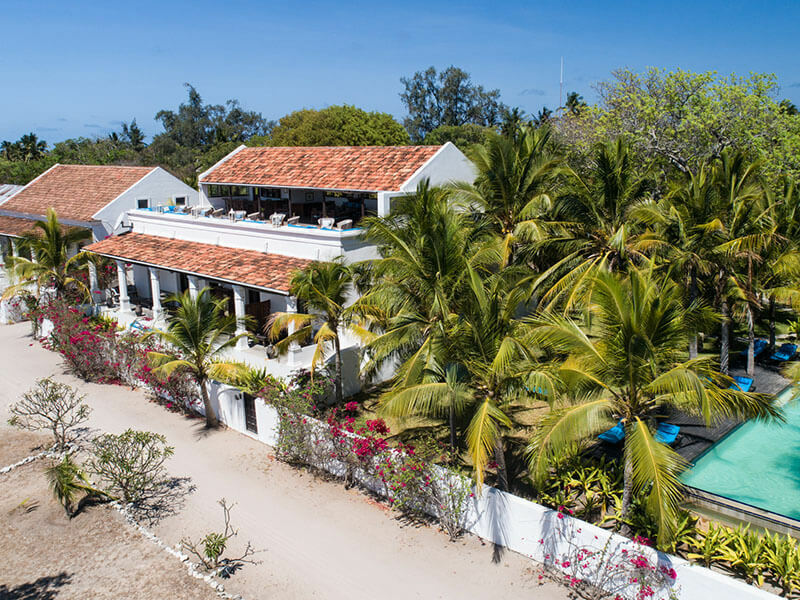 The Historically blessed Ibo Island was the trading center of Mozambique in yesteryear and today it has become a forgotten land. Explore ancient forts, crumbling architecture, diverse local culture and of course outstanding marine life. Enjoy the light air transfer from Ibo over to the luxurious Medjumbe Private Island known for its breathtaking coral reefs and barefoot luxury. This package is perfect for those wanting romantic moments, cultural experiences and seaside adventures. 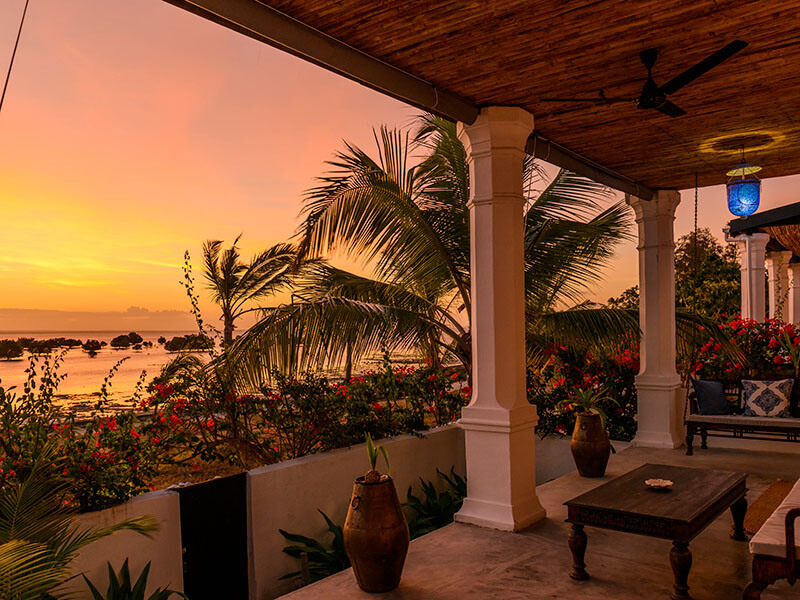 Settle into Ibo Island Lodge and its 14 elegant suites in three beautifully restored colonial villas on the Ibo Island waterfront. Enjoy classic antiques from India, silk throws on the king-size beds in cool spacious rooms and large en-suite bathrooms. Meet fellow guests at the rooftop bar to watch the spectacular sunset and dine under the stars. Discover real insight into the region’s rich past and complex culture – a thousand years of history, forts, churches, mosques, and ruins. From Ibo, you take a light 20-minute aircraft flight to Medjumbe. 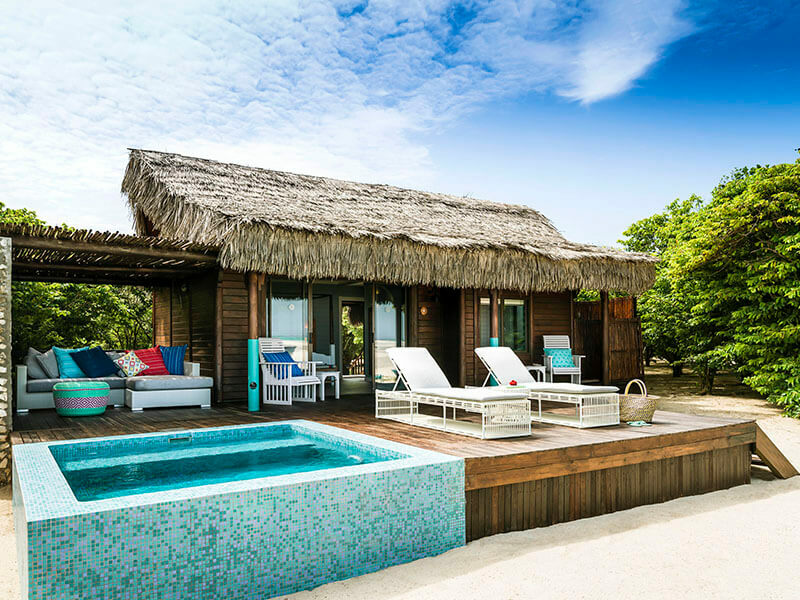 Stay in one of 12 recently refurbished beach pool villas on this Quirimbas – pure privacy for the perfect island getaway. Awaken each morning to the most breath-taking views of the crisp blue ocean, spotless white sandy beaches, and calls of the sea birds! Best deals to Ibo and Medjumbe Island with Mozambique Travel. Subject to change based on availability of light air flights, costings & airport taxes.